Invitation only thought leader forum of brands and innovators in marketing and advertising. Email curious@hatchery.vc for invite. 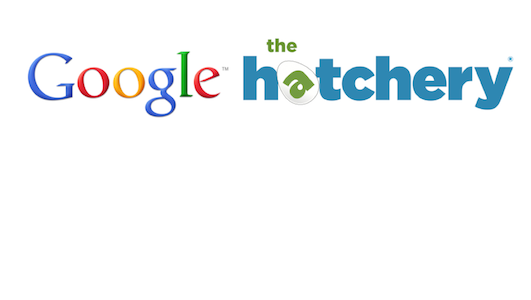 Google and Hatchery are bringing together thought leaders and industry leaders in media, entrepreneurship and tech on how everyone is working to acquire new users, customers, engagement, etc. 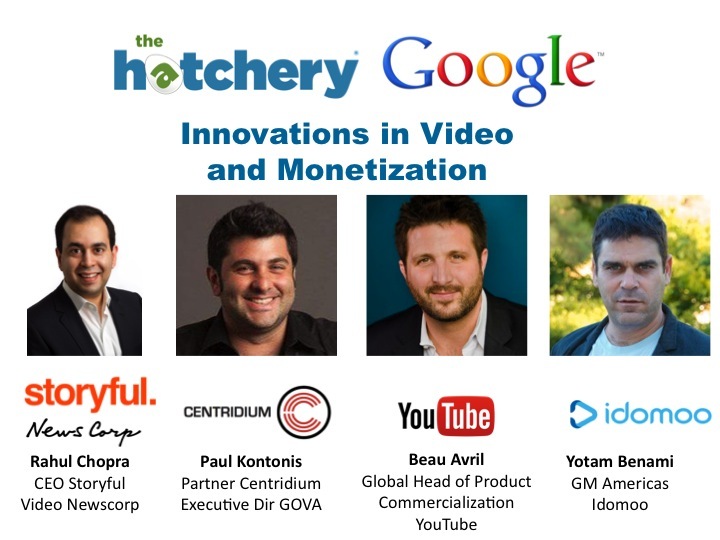 The driving focus of this event will be on the strategies and products that is changing the video industry from traffic to monetization including brand new approaches. The event will feature debates among the full group. Themes we will examine include technology products, what has worked and how, engagement strategies, and the burgeoning role of data and analytics. The event is moderated by Yao Huang, founder of The Hatchery. All guests must have traffic and revenue responsibilities. This is an invitation only curated gathering of about 50 guests. Email us for consideration to private gatherings with Linkedin. Rahul Chopra is Chief Executive Officer of Storyful, the world’s first social news agency. He leads a team of journalists and technologists who discover and verify compelling online content, working with news organizations and other clients worldwide. Storyful was acquired by News Corp in December 2013, with headquarters in Dublin, Ireland and offices in New York and Hong Kong. Mr. Chopra was named CEO in December, 2014, following service as Chief Revenue Officer of Storyful and Senior Vice President of Video for News Corp.
Avril is responsible for bringing Google’s cross-platform reserve video solutions to global markets. Specifically, Avril oversees Google’s upfront video offering called “Google Preferred,” which represents the top 5% of YouTube channels combined with audience guarantees from Nielsen/Comscore and real time brand lift measurement. Additionally, Avril has oversight of YouTube’s “Partner Sales Program” which enables strategic sales alignment between Google and YouTube’s multi-channel networks. Before joining Google, Avril worked in domestic programming distribution for CBS Television Group. Paul Kontonis is a 20 year digital media veteran with an industry leading expertise in original digital video programming development, production, cross-platform video distribution and monetization. Paul served as the SVP of Strategy at Collective Digital Studio, a multi-platform entertainment company and multi-channel network (MCN), where he successfully relaunched the CDS brand culminating in a business defining CDS NewFronts 2015. In 2014, Paul became the Executive Director of the Global Online Video Association (GOVA), an industry trade group representing the interests of the multi-channel networks and video platforms in the digital content ecosystem. As the Chairman of the International Academy of Web Television, Paul breathed life into the industry defining IAWTV Awards in a partnership with largest conference worldwide, CES. As the Vice President, Group Director, Brand Content for The Third Act, at Digitas, Paul helped establish the Digital Content NewFronts as the premier marketplace for connecting brands with original digital content opportunities and has executive produced dozens of web series including successful branded entertainment for Global 100 brands and media companies. Yotam Ben-Ami is a seasoned executive with broad experience in the mobile, web and new media spaces. He has led high-performing cross-functional teams in Europe, the US, Latin America and Israel. Prior to Idomoo, Yotam worked at Telefonica, where he held various leadership positions including heading global partnerships and managing high profile product launches across Europe and Latin America. Yotam’s prior work experience also includes McKinsey & Co. and Warner Bros, where he led various strategic growth initiatives.